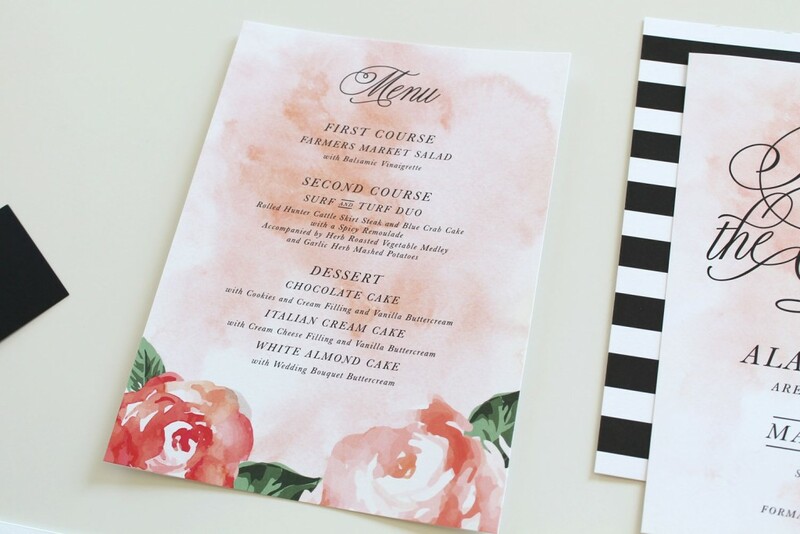 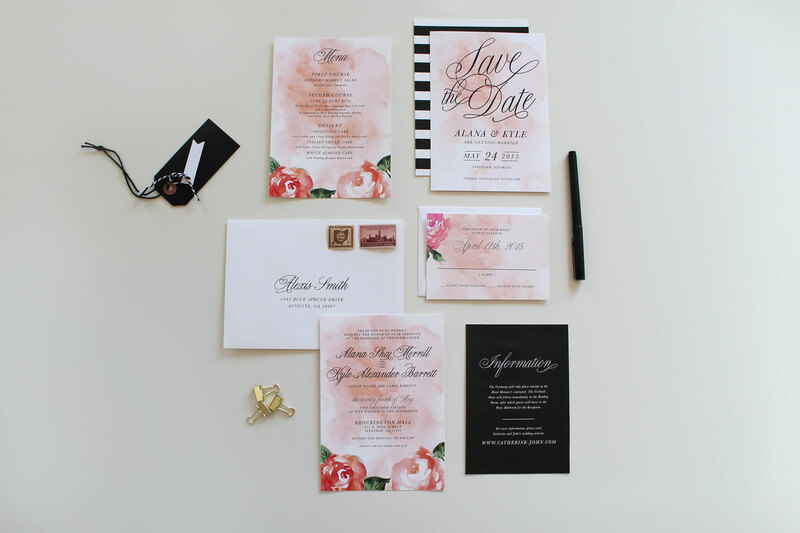 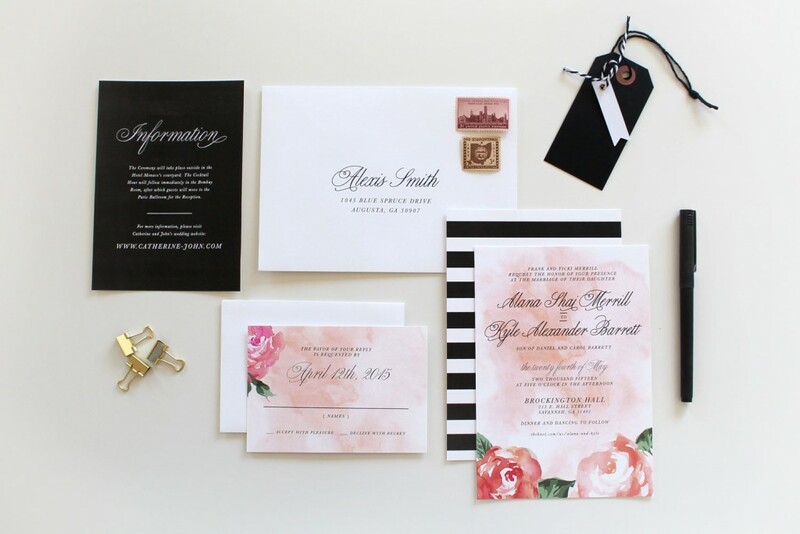 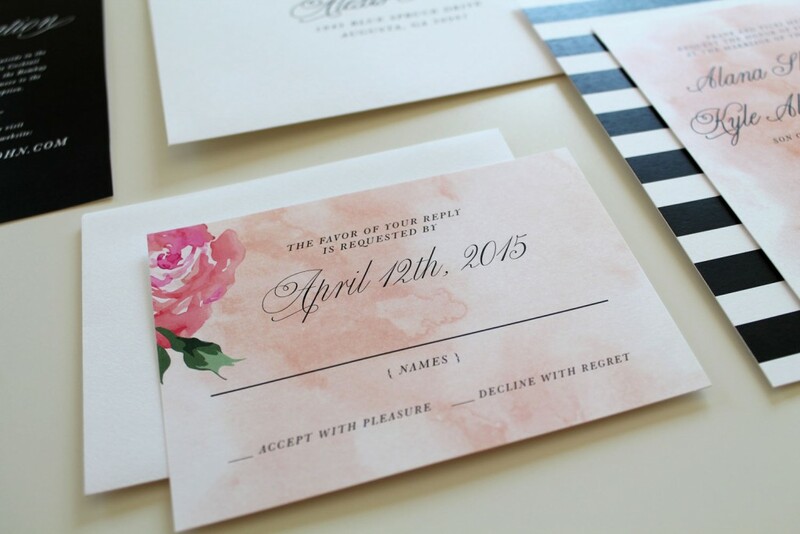 Tied and Two’s beautiful and unique Floral Peony Watercolor Wedding Invitations combines a soft watercolor texture with watercolor peony artwork and a stark black and white stripped pattern. 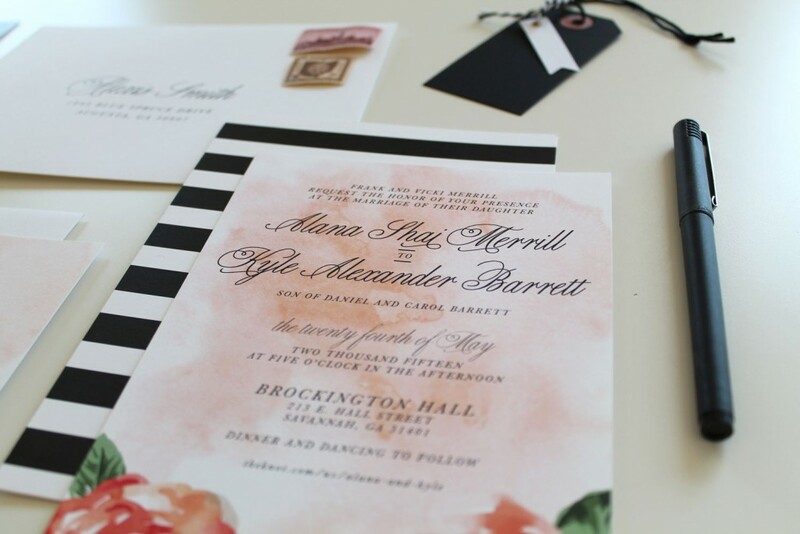 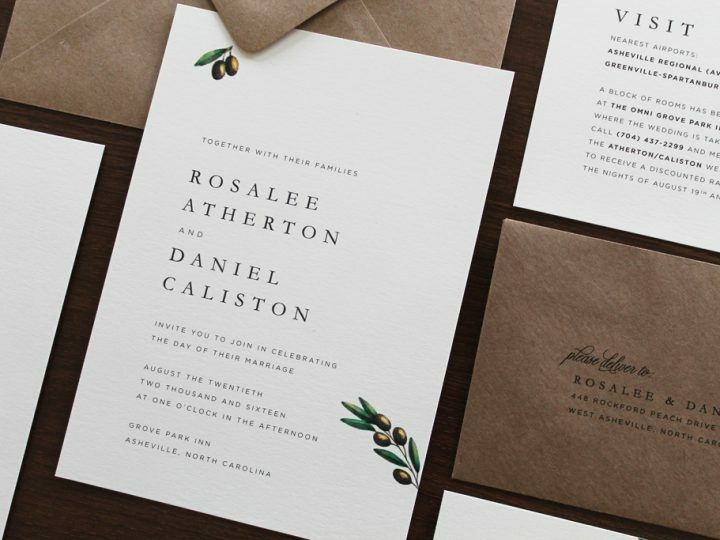 The classic Baskerville font is paired with the stunning Bellissima Script. 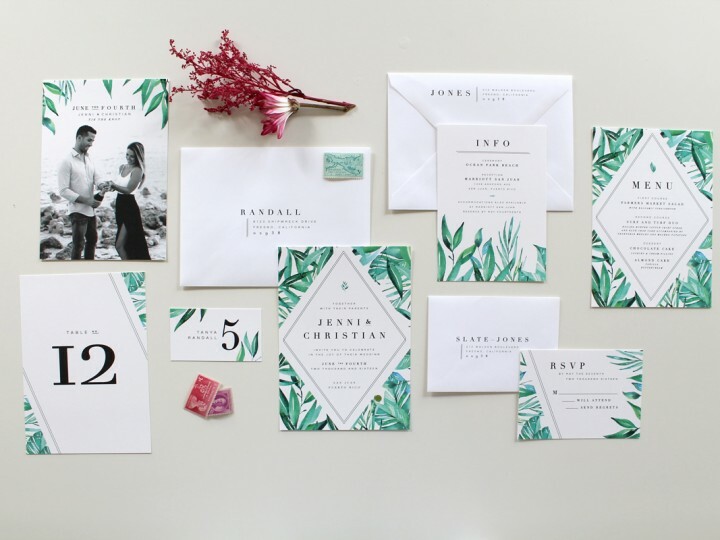 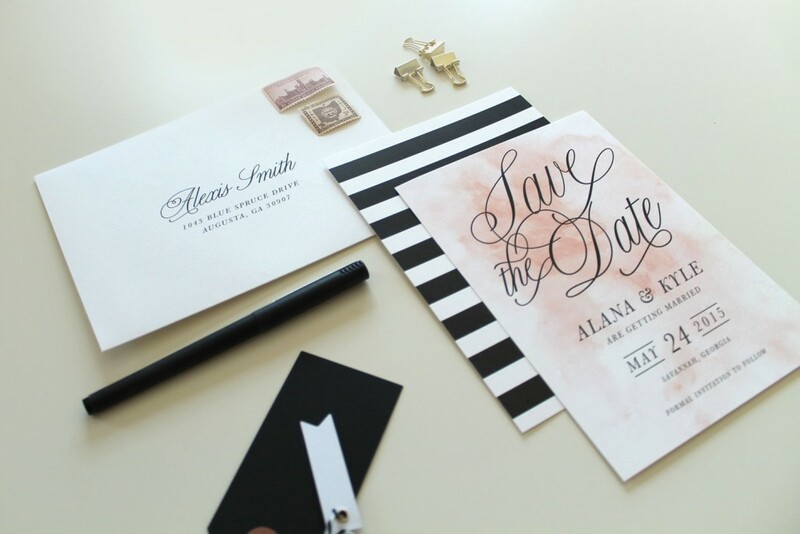 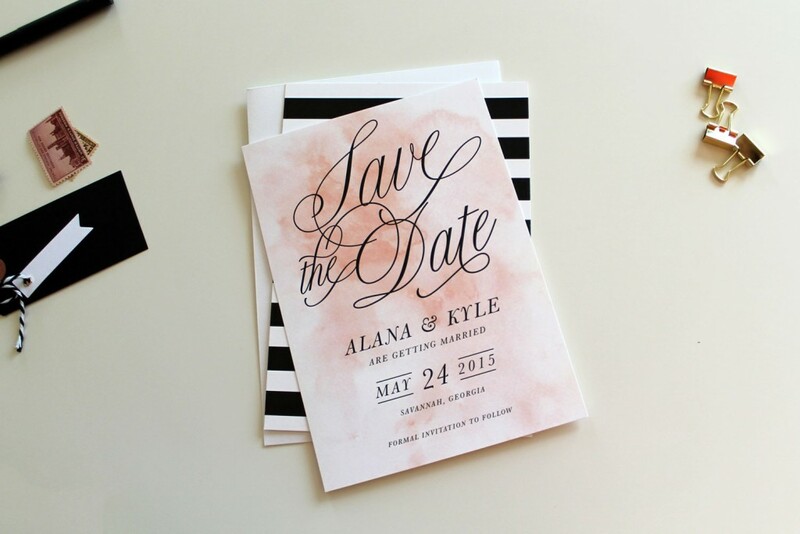 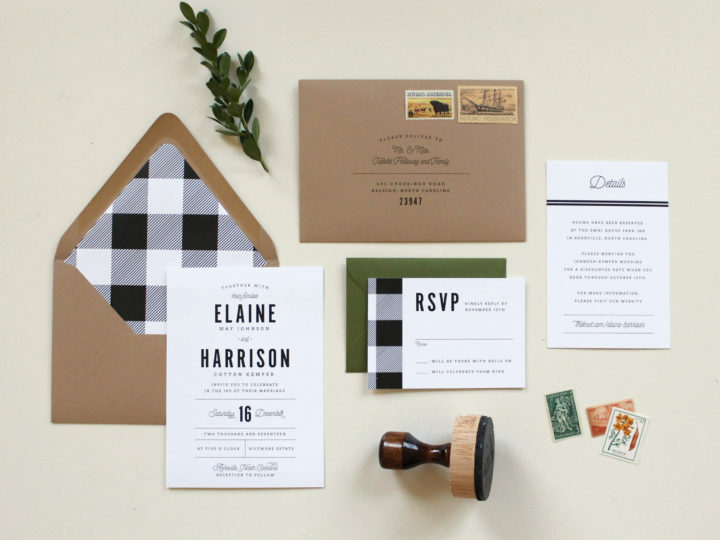 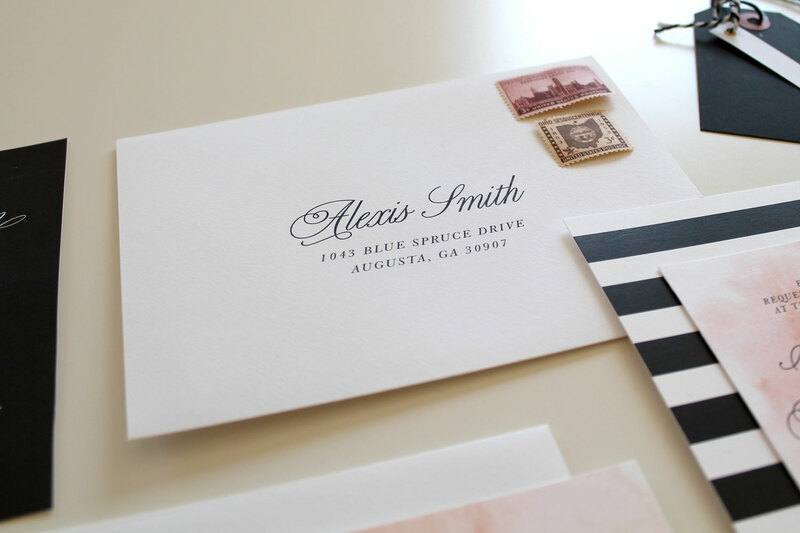 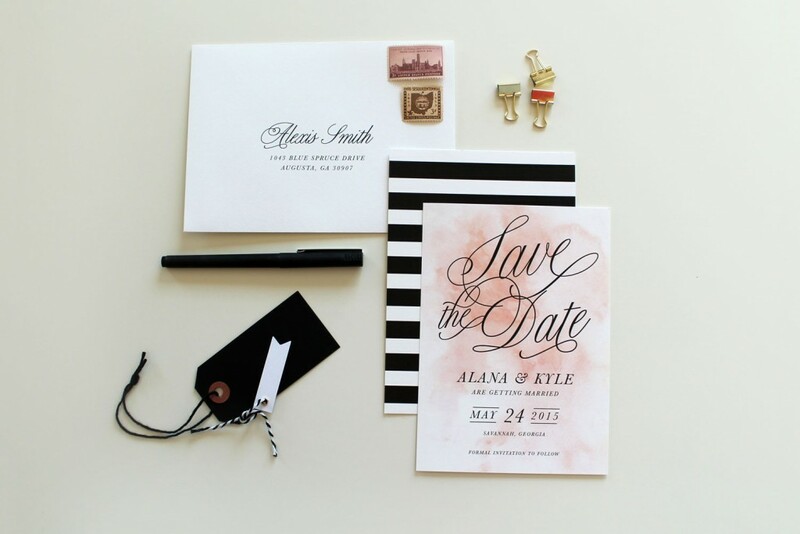 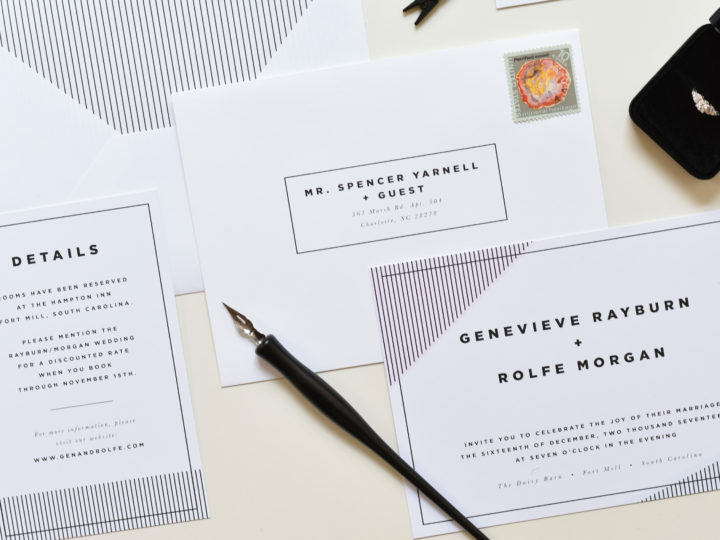 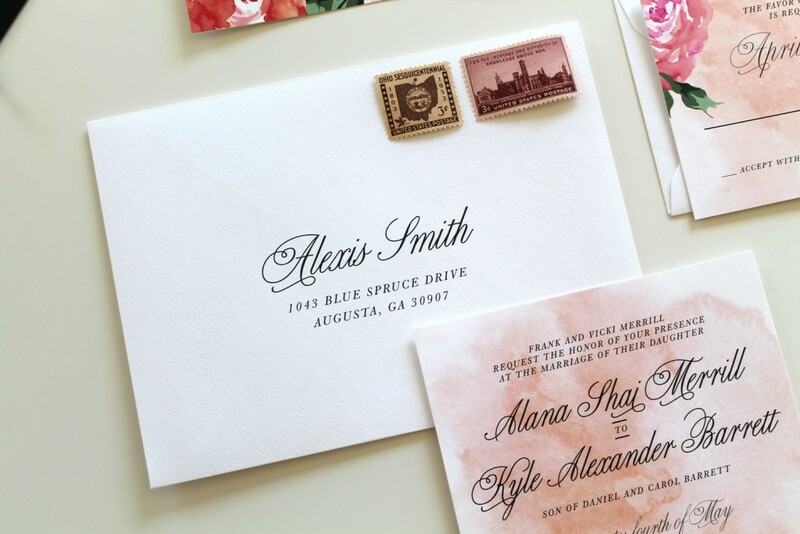 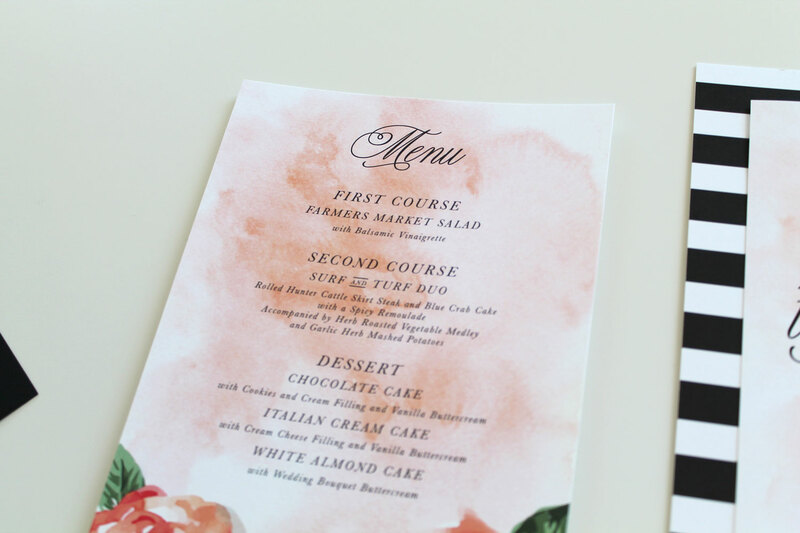 We have also incorporated these fonts on a classic and textured white envelope with custom guest addressing. This unique set is available for purchase and personal customization in our Etsy Shop.